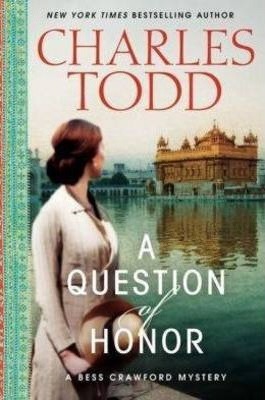 In the latest mystery from New York Times bestselling author Charles Todd, World War I nurse and amateur sleuth Bess Crawford investigates an old murder that occurred during her childhood in India, and begins a search for the truth that will transform her and leave her pondering a troubling question: How can facts lie? In 1908, when a young Bess Crawford lived in India, an unforgettable incident darkened the otherwise happy time. Her father's regiment discovered it had a murderer in its ranks, an officer who killed five people yet was never brought to trial. A decade later, tending to the wounded on the battlefields of France during World War I, Bess learns from a dying man that the alleged murderer, Lieutenant Wade, is alive and serving at the Front. According to reliable reports, he'd died years before, so how did Wade escape India? What drove a good man to murder in cold blood? Bess uses her leave to investigate. But when she stumbles on the horrific truth, she is shaken to her very core. The facts reveal a reality that could have been her own fate. In the latest mystery from New York Times bestselling author Charles Todd, World War I nurse and amateur sleuth Bess Crawford investigates an old murder that occurred during her childhood in India, a search for the truth that will transform her and leave her pondering a troubling question: How can facts lie? Bess Crawford enjoyed a wondrous childhood in India, where her father, a colonel in the British Army, was stationed on the Northwest Frontier. But an unforgettable incident darkened that happy time. In 1908, Colonel Crawford's regiment discovered that it had a murderer in its ranks, an officer who killed five people in India and England yet was never brought to trial. In the eyes of many of these soldiers, men defined by honor and duty, the crime was a stain on the regiment's reputation and on the good name of Bess's father, the Colonel Sahib, who had trained the killer. A decade later, tending to the wounded on the battlefields of France during World War I, Bess learns from a dying Indian sergeant that the supposed murderer, Lieutenant Wade, is alive--and serving at the Front. Bess cannot believe the shocking news. According to reliable reports, Wade's body had been seen deep in the Khyber Pass, where he had died trying to reach Afghanistan. Soon, though, her mind is racing. How had he escaped from India? What had driven a good man to murder in cold blood? Wanting answers, she uses her leave to investigate. In the village where the first three killings took place, she discovers that the locals are certain that the British soldier was innocent. Yet the present owner of the house where the crime was committed believes otherwise, and is convinced that Bess's father helped Wade flee. To settle the matter once and for all, Bess sets out to find Wade and let the courts decide. But when she stumbles on the horrific truth, something that even the famous writer Rudyard Kipling had kept secret all his life, she is shaken to her very core. The facts will damn Wade even as they reveal a brutal reality, a reality that could have been her own fate.